On the island of Newfoundland, in the north-west Atlantic ocean, off the east coast of Canada, the wild, uncultivated beauty begs to be explored. 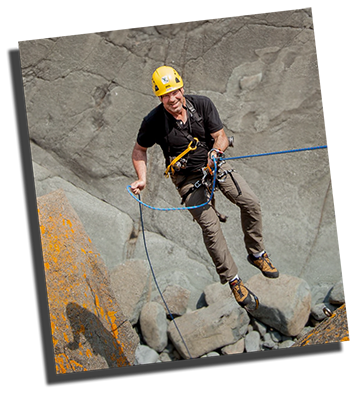 From Cape Spear, the most eastern point of land in North America to the Long Range mountains, the northern extreme of the Appalachian range, outdoor adventure is as easy as walking out your front door. This project will take us outdoors in all seasons and weather, hiking, skiing, climbing, running and camping on the old coastal trails and back country, and sailing and kayaking in the coastal waters. So come travel with me through one of the last great unspoiled outdoor adventures in North America. If you can’t visit in person you can follow this project here for photos and stories from our adventures exploring Newfoundland. We’ll be updating this site with photos, stories and video throughout 2015 so make this a regular stop on you digital travels. You can also get updates and follow along on our Twitter feed, FaceBook page and Instagram. …click on the individual gallery tiles below for pictures and stories. This project has been made possible with the kind support and assistance of…. If your company is interested in being a part of this exciting project that delves head first into a modern Newfoundland adventure story please CONTACT US to find out about sponsorship opportunities with our website, exhibition, film or all of the above, throughout the year. More sites to help you #ExploreNL. COPYRIGHT © 2015 GREG LOCKE. All right reserved. All content on this site is the intellectual property of Greg Locke. Please feel to free to share in your personal social networks but any reproduction or use in a commercial, business or editorial context in print or online is not permitted. Photos may not be edited and source/credit must always be attributed. To find out how you can license reproduction and usage rights of these photos, video and stories please CONTACT US.